Moves to resurrect a ‘lost’ memorial to Prince Albert could see an important part of Swanage heritage on public view once again in time for the bicentenary next year of both Queen Victoria and her beloved Consort. 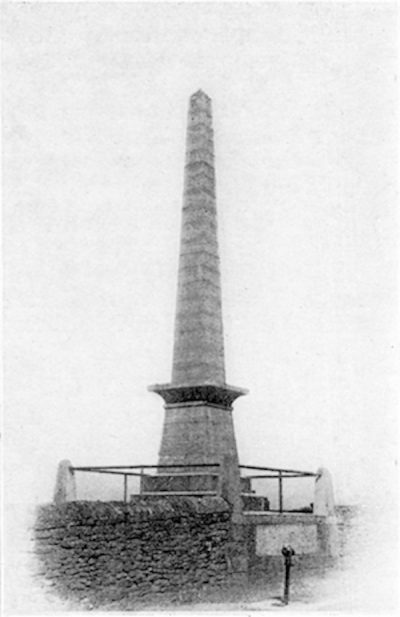 The Purbeck stone obelisk was built at the top of Court Hill on the High Street in December 1862, barely a year after Albert’s untimely death. It is thought to have been the country’s first civic memorial to commemorate the great social reformer, educationalist and energetic advocate of the arts and science. 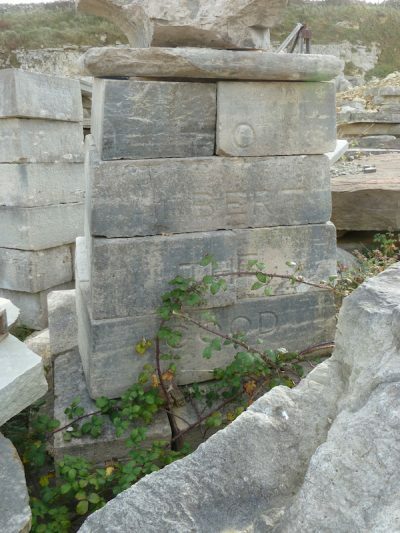 Today, what’s left of it languishes in St Aldhelm’s Quarry yard at Worth Matravers, but there are hopes that it could be restored to its former glory next year as public attention focuses on the German prince who arguably popularised the royal family in a way that wasn’t seen again until Diana, Princess of Wales. To mark the bicentenary of his birth a major new digitisation programme is underway that will see some 23,500 items from the Royal Archives made available online in a reminder of his influence not only on Victorian society but on our lives today. Victoria had visited Swanage in 1833, as had her son Bertie, the future Edward VII, in 1856. It’s likely that Albert visited the same year. According to an account written by Swanage builder William Masters Hardy, the Prince Consort accompanied renowned naval officer George Biddlecombe aboard the royal yacht to inspect Swanage as a suggested place of refuge should any vessel be unable to make it to Portland in foul weather. It was decided the memorial would be raised on ground donated by John Mowlem at Court Hill where the young Princess Victoria had stopped on her way to stay at what became the Royal Victoria Hotel. The design was taken from an obelisk George Burt had seen in London’s Ludgate Circus. He also gave the railings and in December, as soon as the monument was in place and the parish took possession of it, waywardens were instructed to lay paving. John and James Haysom cut the inscription ‘gratis’, which may explain why a glaring error was allowed to stand – Albert’s birthday incorrectly appears as 19 August 1819, seven days before the actual date. The monument is further inscribed ‘Albert the Good’ and for the first few years of its life it seemed favoured by good fortune. That was until the ‘Great Blizzard’ of January 1881 when the top two courses of stone were twisted out of alignment. The local authorities disclaimed any responsibility for its repair until George Burt reminded them of their previous undertaking to take care of the memorial. 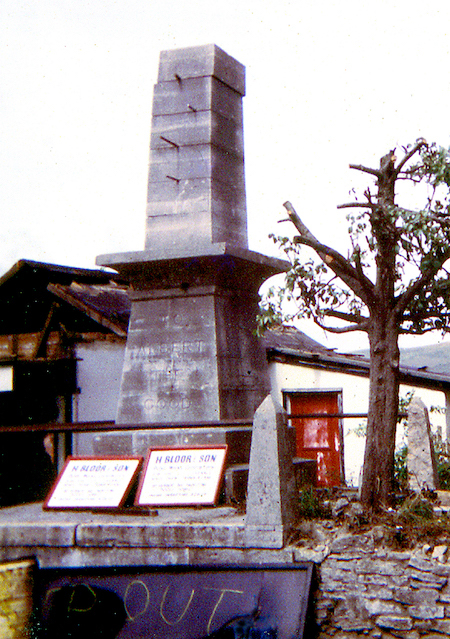 Although the top section was damaged again on 19 January 1901 during a heavy storm, the memorial seems to have survived intact at least until 1925 when it was photographed. The next known photo of it dates from 1931 when its truncated form appears on a postcard issued to mark the opening of the Royal British Legion on the High Street. Research by the late Swanage historian and architect David Lewer suggests the top 13 courses were removed by local builder Frank Smith on the instruction of the owner of the adjoining property at 158 High Street who believed it had again become unsafe and had been unable to get the council to act. The stone was taken to Smith’s yard on Northbrook Road and is thought to have been sold to George Hancock & Co some 15 years later. When Lander’s Quarries acquired that business what remained, including the apex stone, was taken to its yard at Langton. After losing its top, the stump of the memorial endured a no less troubled history. When the efforts of David Lewer and others to have it repaired for the centenary of Albert’s death in 1961 came to nothing, further attempts were made to have it moved to a more suitable location closer to the town centre such as The Square or in front of the Royal Victoria Hotel. With planning permission granted to develop 160 High Street next door, by 1971 the situation had come to a head. The stone was taken to a council yard, then to Lander’s and finally to St Aldhelm’s Quarry where it remains. Subsequent efforts to resurrect the memorial – in 1977 for the Silver Jubilee, in 1996 when Prince Albert Gardens was built and for the Millennium in 2000 – all failed. ‘It’s a wonder it’s still there,’ says Bob. ‘In fact, if it wasn’t for Trev Haysom’s interest we probably wouldn’t have it at all. However, what’s there is well preserved; the lettering is in good condition although a section of the table ledge is broken. Estimates suggest it would cost about £11,000 to repair and replace the stones and in excess of £20,000 to see the monument erected in Prince Albert Gardens. Swanage Town Council has indicated it is broadly in favour of resurrecting the memorial and has funded a pre-planning notice and the planning application. In a statement the council says: ‘Members were very supportive of the idea in principle, but the Town Council has recognised that restoring and re-siting a Victorian monument to meet 21stcentury requirements poses significant challenges: health and safety legislation, the planning framework and ways of fundraising are all very different to when the monument was first erected in the 1860s. The Council has suggested a number of alternative locations for the monument, including a site near the entrance to King George V Playing Fields on Victoria Avenue. ‘It is a pity that the concerns about Prince Albert Gardens as a site are only now being aired as no mention of this was made at any of our meetings with the council,’ says Bob Field. ‘The entrance to King George V Playing Fields has semi-circular curving walls in which there are two sculpted reliefs. It looks very elegant. Putting the memorial there would block the entrance and look extremely unsightly. Perhaps unsurprisingly in these straitened times Swanage Town Council has further explained that although it is keen to work with the Museum to see the project realised, it is not in a position to directly fund the restoration and resurrection of the Albert Memorial. Undeterred, the Museum working party is determined to press on and secure the return of a historically important monument that was once the source of great civic pride in Swanage.